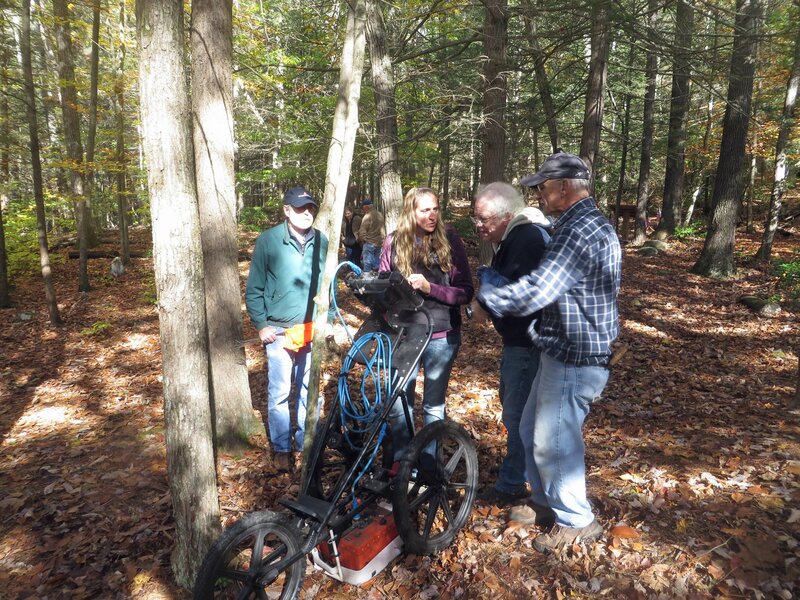 10/28/17: GPR was done at the Barkhamsted Lighthouse Archaeology Preserve Site | "Ever Widening Circle"
​Via email/photos/permission to share from Paul Hart of the Barkhamsted Historical Society also photos and video from Ken & Jenn Feder. 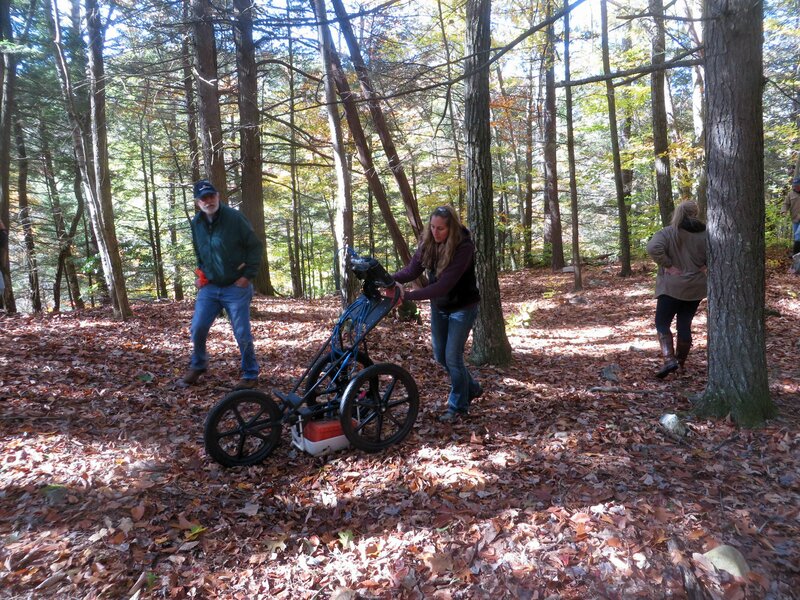 We did the ground penetrating radar (GPR) at the Lighthouse cemetery today (Friday, Oct 27). This was set up by retired state archaeologist Nick Bellantoni, who recruited Debbie Surabian to operate the instrument. Debbie is a soil scientist with the US Department of Agriculture. We walked up to the cemetery mid day, without the radar instrument, and did a quick survey. Based on the trees and rocks at the site, she did not feel that a grid could be set up, or that the machine would operate effectively at the site. So a grid was not laid out. But Debbie did take some readings anyway. Most of the readings were in the limited area of where the old fence was located around the cemetery. She found that the disturbed soil from where the CCCs put that fence in during the 1930s was visible because it was near the surface of the ground. She was able to confirm where one corner of the fence was located. But the few passes she took inside the cemetery did not produce any clear readings that could be interpreted, which was a disappointment. She said that tree roots and rocks were the cause of that. 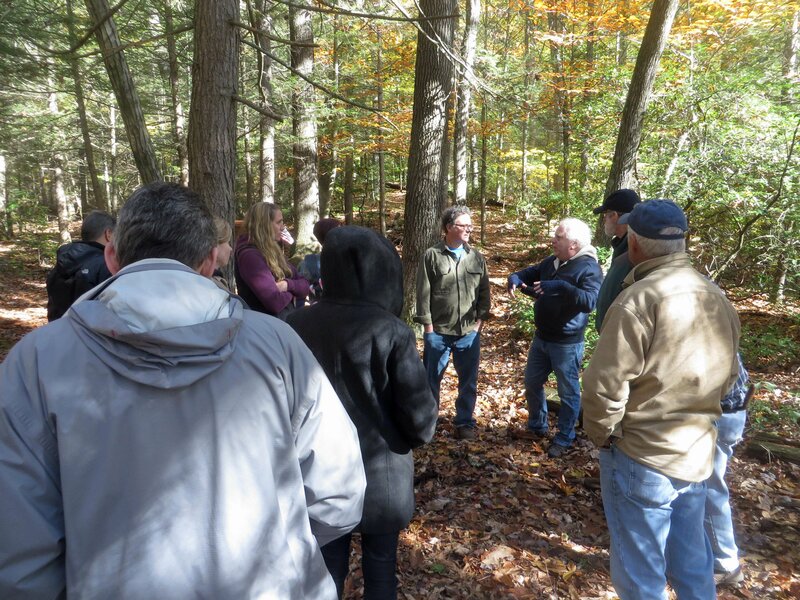 Besides Debbie Surabian, Kenny Feder was here, along with retired state archaeologist Nick Bellantoni and the current state archaeologist Brian Jones and also Marc Banks, an archaeologist that has done work for the Barkhamsted Historical Society. So we really had some high powered people. Photo 1 – Kenny Feder talking to current state archaeologist Brian Jones at the Lighthouse cemetery. 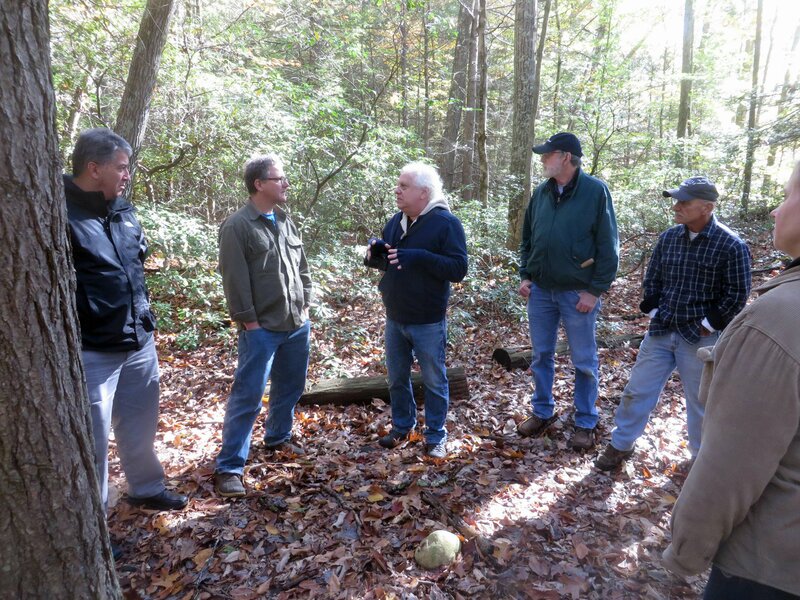 Photo 2 – The group at the Lighthouse cemetery discussing the site. 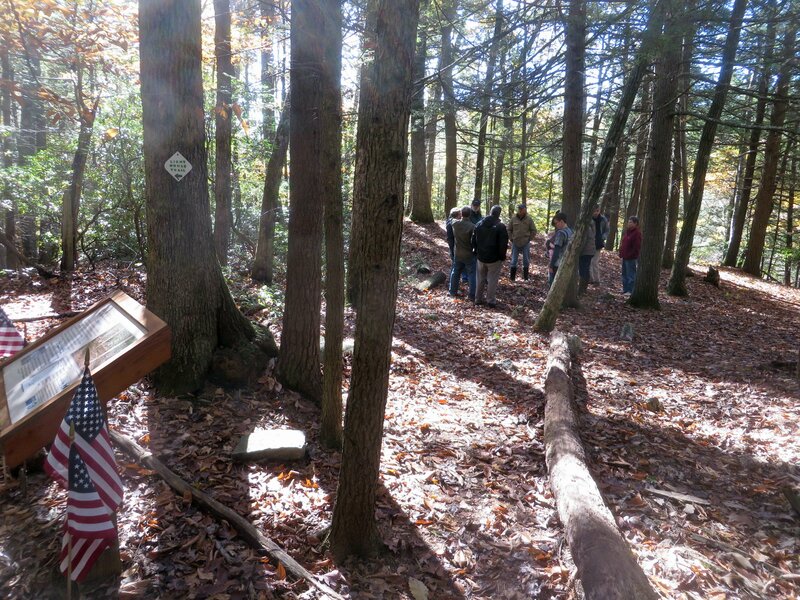 Photo 3 – left to right- Eric Chiapponi, Brian Jones, Kenny Feder, Marc Banks, Nick Bellantoni at the Lighthouse cemetery site. 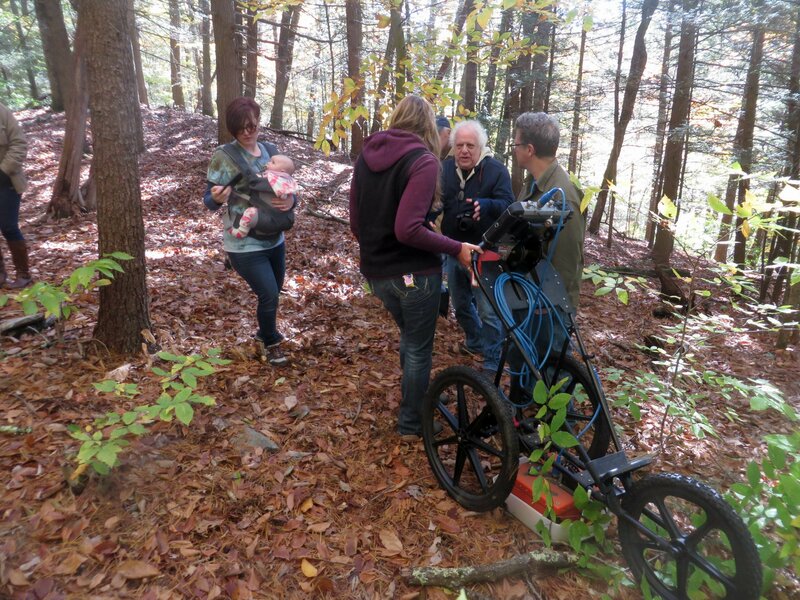 Photo 4 – Debbie Surabian operating the GPR instrument at the Barkhamsted Lighthouse cemetery site. Photo 5 – Left to right- Marc Banks, Debbie Surabian, Kenny Feder, Nick Bellantoni looking at the radar display screen, Lighthouse cemetery. Photo 6 – Kenny Feder, Debbie and Brian Jones discussing the GPR effort at the Lighthouse cemetery. It was too rocky/too many tree roots to determine number of graves, which was a bummer. The only thing that was clear while we were looking at the machine was where the fence was. But they’re going to look at the data and eventually get the info to Kenny and he’ll make sure you get it too. The guy who is the state archaeologist now was very interested in the site and mentioned wanting to get LiDAR images. Basically they’re aerial images that wipe out all the trees and vegetation and give great images of the features and foundations. So that would be really cool.